Support the work of the International Commission of Jurists, Victoria, at our annual fundraising dinner. 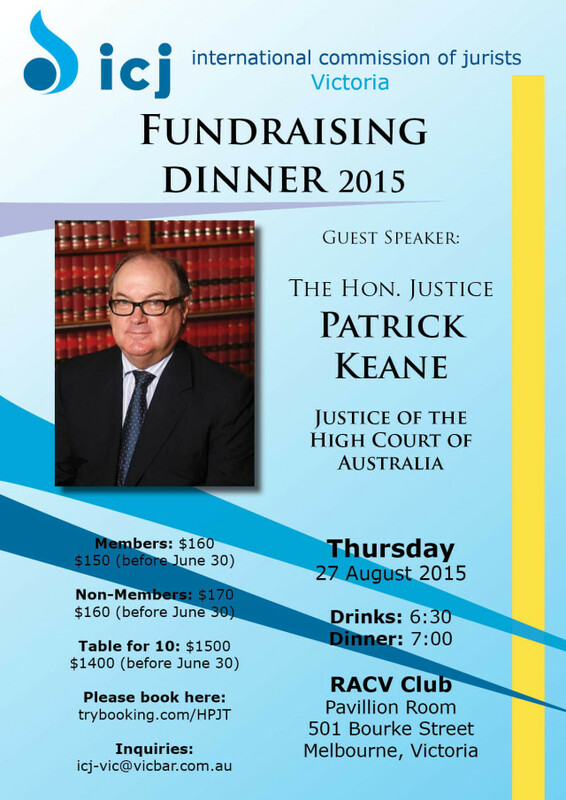 We are thrilled to announce that our guest speaker is the Honourable Justice Patrick Keane of the High Court of Australia. Tickets available, secure your seat now!